Did you have any idea that there are over 65 million homes inside of the US that have domestic pets? Unfortunately, where pets are, accidents will follow. Taking into consideration that a lot of households own family pets and mishaps will happen, there are a lot of homes out there needing help with removing carpet stains! 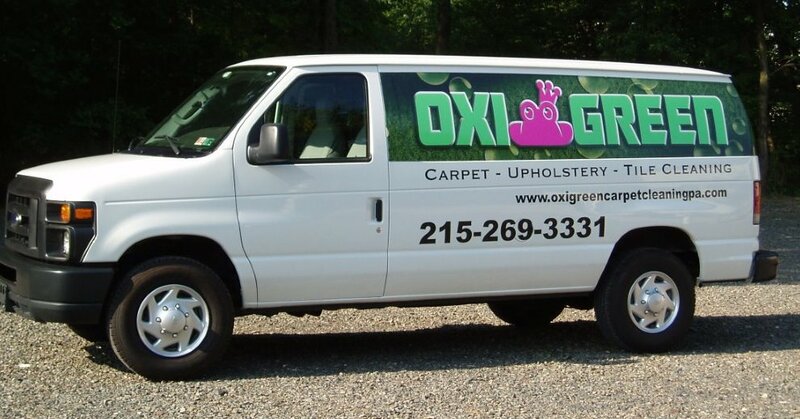 At OxiGreen Carpet Cleaning in Bensalem, PA we want to help you. The tips and tricks in this post were written so that you can avoid creating a regrettable blunder which could have been prevented when attempting to eliminate spots on your carpets. Here we go! • Take action immediately! Fresh blemishes are simpler to get out. Acting quickly will increase your odds of getting the spot out by 75%. • Since heat can set a stain, make sure the entire stained area is completely. Let it dry naturally. Drying it using an iron or hair dryer is not recommended. NOTE: Remove as much of the stain as possible by blotting fluid stains and scraping up solid blemishes, such as mud. • If the wet spill is large and you have access to a wet/dry vac, use that. • I cannot emphasize this enough, make sure that you be very cautious not to do anything that could spread the spot. • For those of you who choose to make use of a chemical stain remover, be sure to check it out in a hidden area. Doing this up front will make sure you do not find yourself discoloring the carpet fiber or destroying your carpet in a spot that is readily seen. Should you damage the carpet, since it is hidden, you are able to try a completely different solution for the removal of the stained area. • Always work starting from the outside border towards the middle when using a spot removal product. Warning: blot the moisture out of your carpet, make sure that you don't scrub or scour the carpet using a stiff-bristled brush. The brush will likely ruin the carpeting. • Make sure that you rinse chemical spotters completely with water. Blot the region over again until it's as dry as you are able to get it. Whenever you are removing spots on upholstery or carpet, try using a thick pad or some towels to dry out the region by weighing them down with books or some other heavy object. It is best to keep this set overnight to assist the drying process. • Brush the nap to fluff the fibers. Some blemishes can be removed with this do it yourself method, but when you require skilled professional assistance, contact OxiGreen in Bensalem, PA for help. OxiGreen has extensive experience working with the worst stains imaginable. Our numerous years or experience make us skilled to safely and effectively get out nearly every stain. Call OxiGreen in Bensalem, PA today at 215-269-3331 for expert assistance with all your carpet stains and general carpet cleaning. You can count on us to get the job done!